Congressional Visit Guide - FedUp! 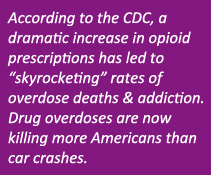 Call the office of your US Senators or member of the House of Representatives and request a brief amount of time to discuss the opioid epidemic and its impact on you and/or your family. Ask for a face-to-face meeting with your member of congress as a concerned constituent. Do not be disappointed if the Senator or Representative is unavailable and you are assigned a staff member . Congressional staff are important allies in conveying messages to your member. If provided a meeting time, be prompt, be brief and be polite. Dress appropriately. At the meeting with the member or designated representative, explain that you have requested this meeting to discuss the FED UP coalition call to ensure that the federal government does more to stem the tide of the epidemic before us. Share the ideas outlined in the FED UP platform which will help raise awareness, reduce opioid overprescribing, enhance treatment for our loved ones and save lives. Tell them you want your member of congress’ support – be clear and concise. Leave a copy of the platform after you have concluded your discussion. Thank the member or staff member for their time.